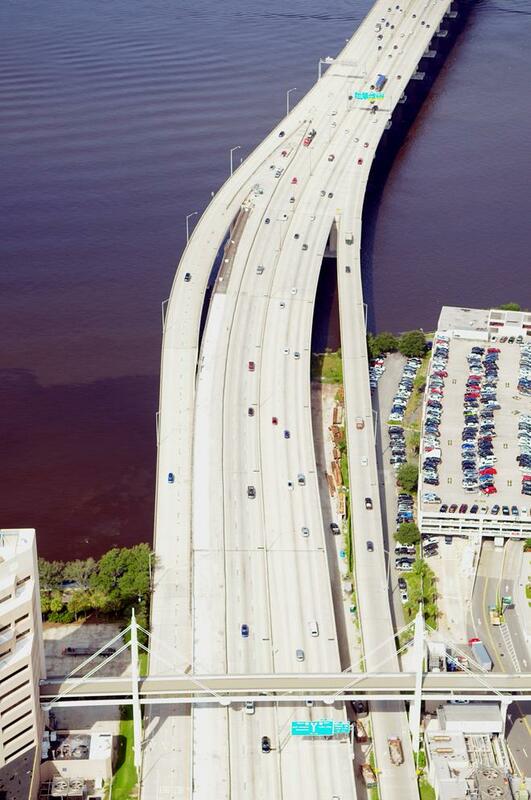 The Overland Bridge project will improve traffic flow along the I-95 corridor just south of the Fuller Warren Bridge. 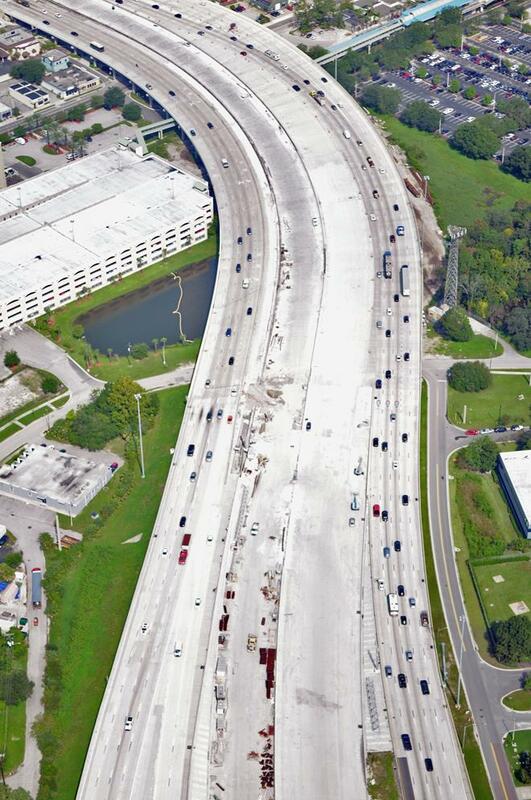 The series of overpasses that carry traffic over Hendricks, Kings and Montana avenues are being replaced along 2.3 miles of I-95. 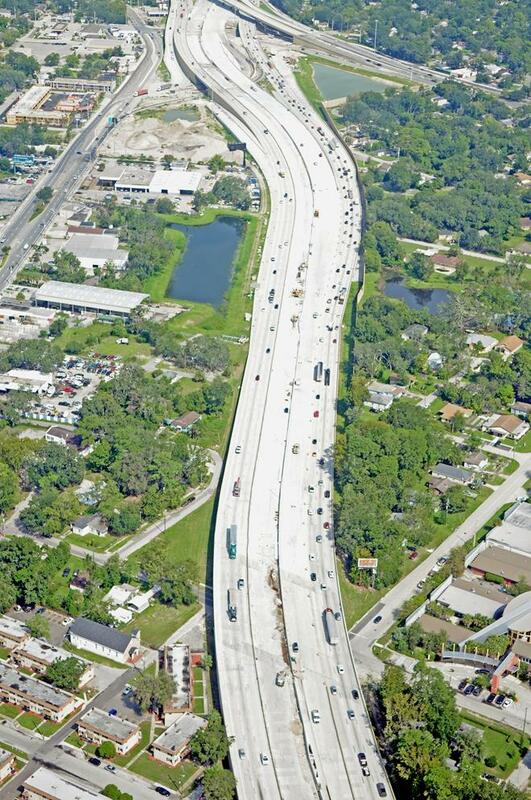 I-95 will be widened to provide an additional lane for southbound traffic. 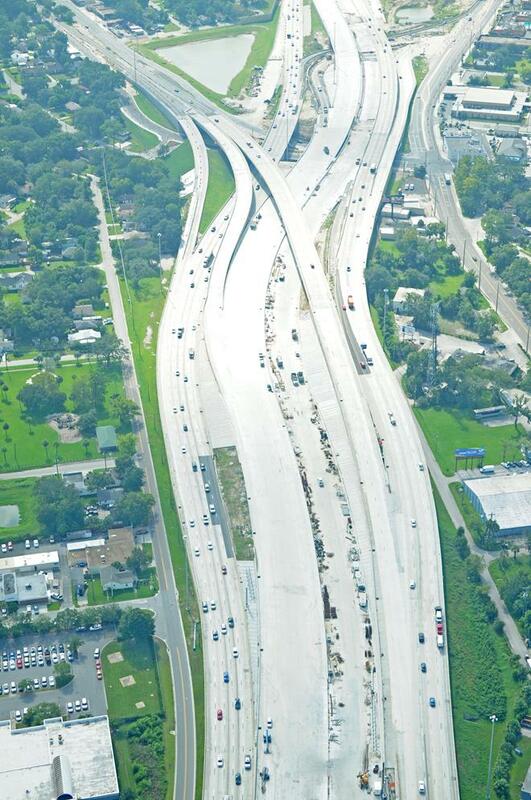 A full service interchange will be built on I-95 and Philips Highway/Atlantic Boulevard. 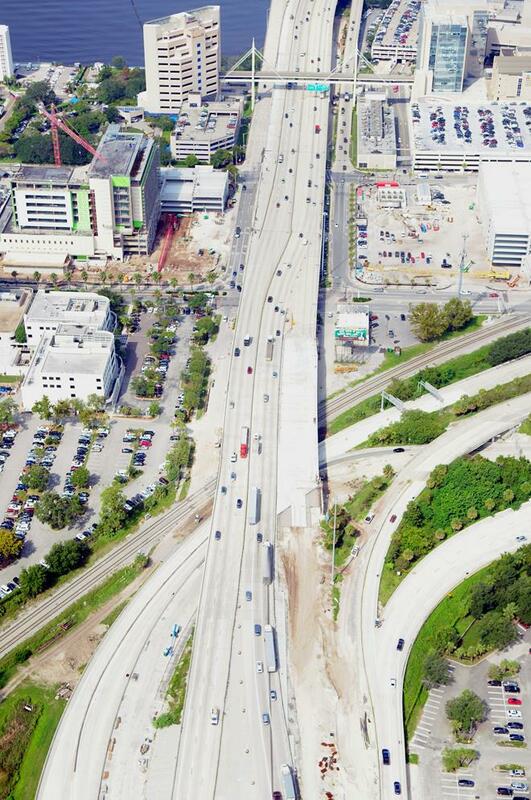 This will provide an exit for northbound traffic on I-95 going to Philips Highway and Atlantic Boulevard. 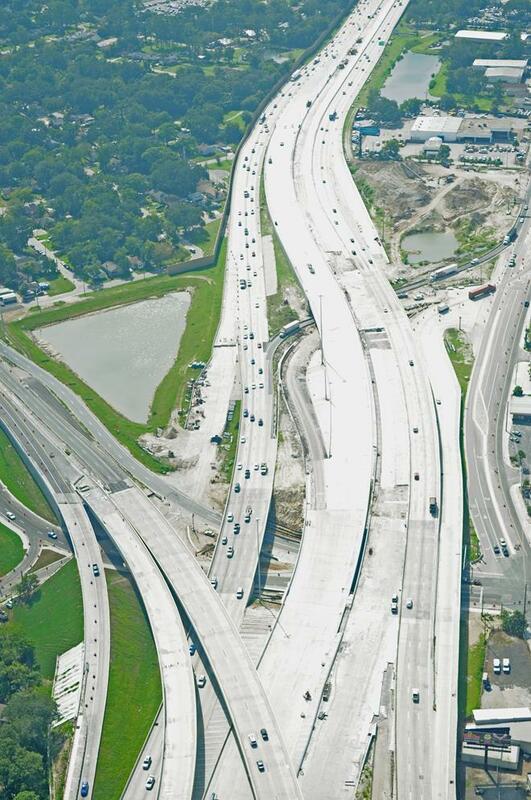 This project is being constructed in six phases. With each phase, motorists will encounter different series of traffic shifts. By shifting traffic, it will minimize the impacts to motorists but will still allow for construction during peak travel times. 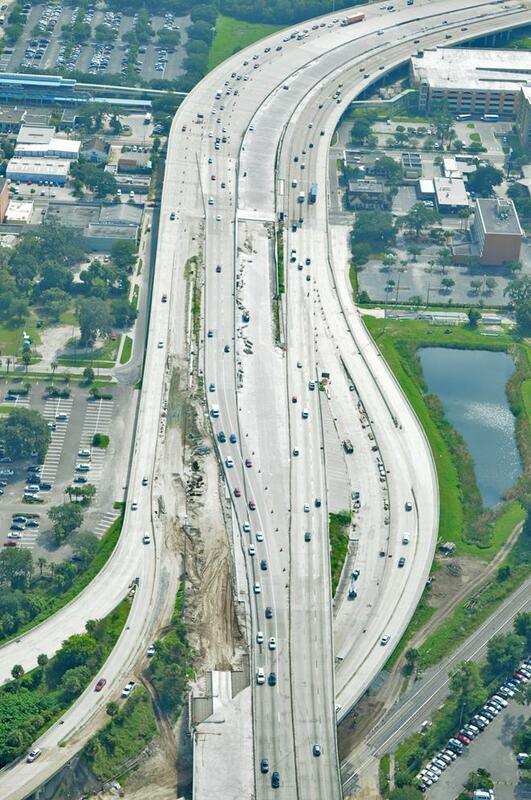 The posted speed limit for I-95 will be reduced to 45 mph in the construction zone. 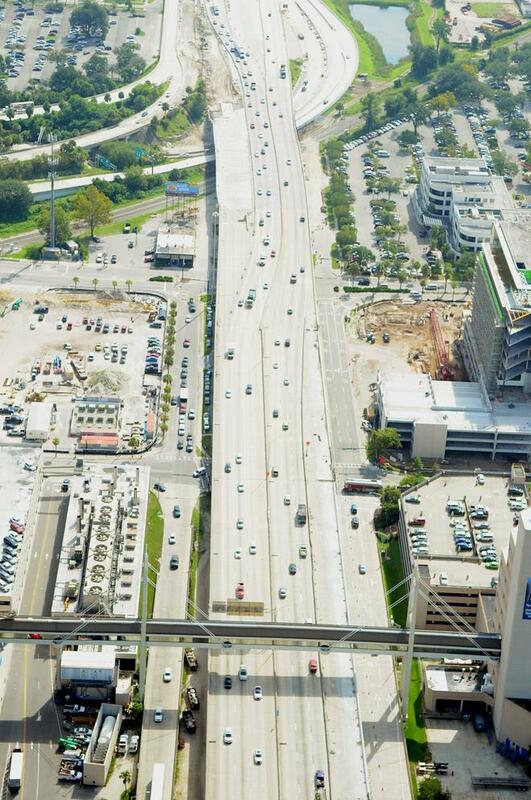 Speeding fines are doubled in construction zones when workers are present. 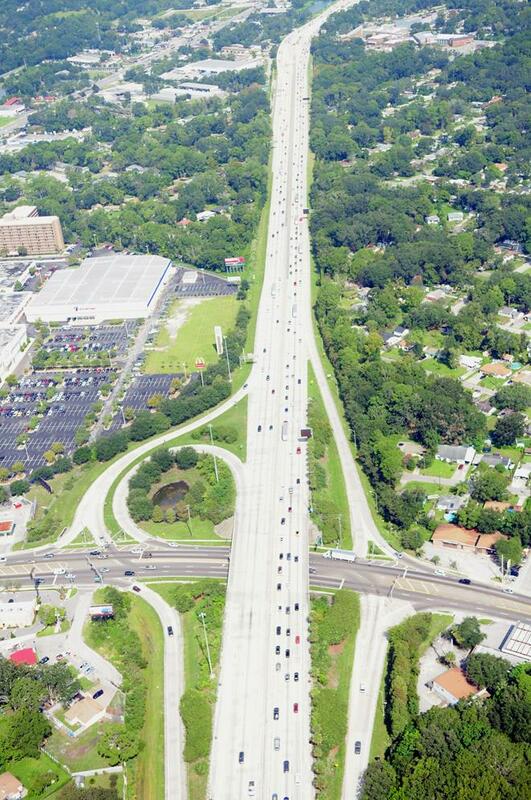 Traffic from the Main Street Bridge southbound to Hendricks Avenue will be closed off this fall and traffic will be required to use Prudential Drive or Riverplace Boulevard. 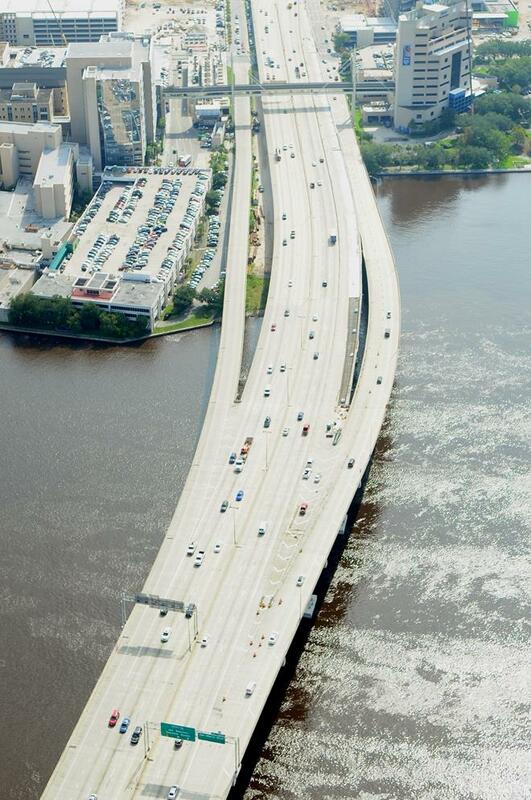 Lane closures are allowed on I-95 from 8 p.m. to 6 a.m. One lane is closed at 8 p.m. with additional lanes closed at 10 p.m. Off of I-95, lane closures occur throughout the day. Pile driving is only allowed during daytime hours. A noise wall will be built early in the project to minimize noise impacts to the adjacent neighborhoods. 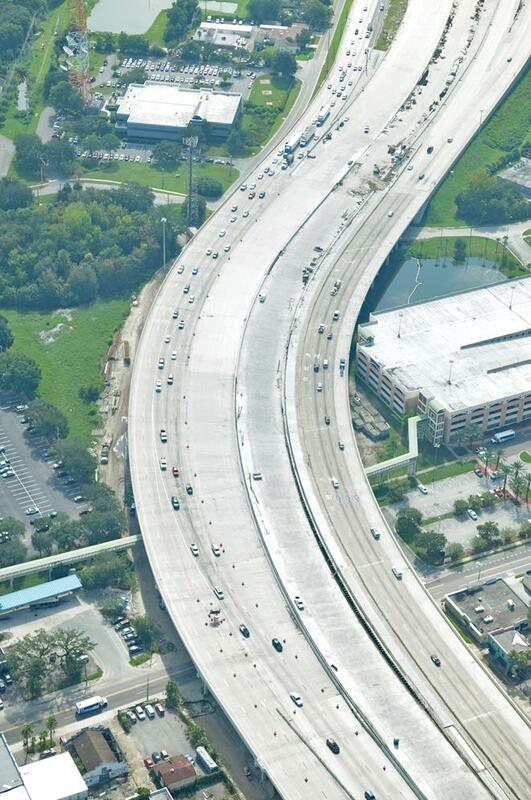 Visit I95OverlandBridge.com for full details regarding this future project. Nighttime off-ramp lane closure at Bay Street Sunday and Monday from 9 p.m. to 4:30 a.m. for routine overpass maintenance. 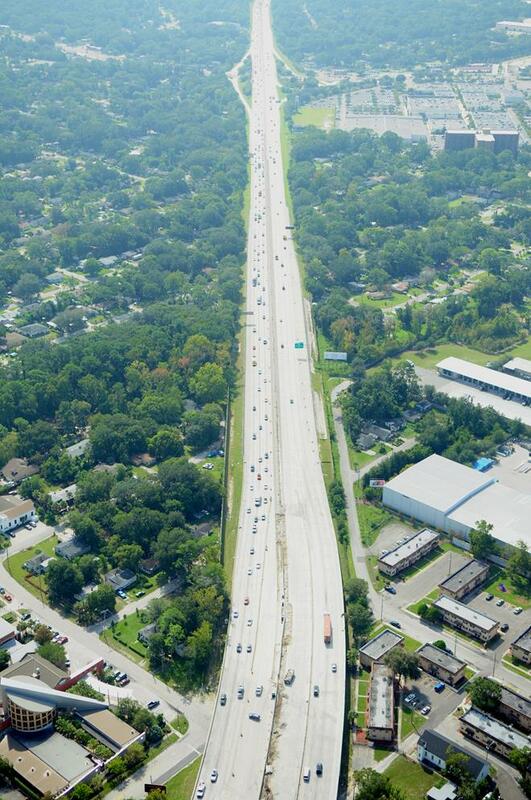 Daytime northbound lane closures from Dunn Avenue to Airport Road Monday through Thursday from 9:30 a.m. to 3:30 p.m. and nighttime lane closures Monday through Thursday from 7 p.m. to 6 a.m. for road work. for road work. 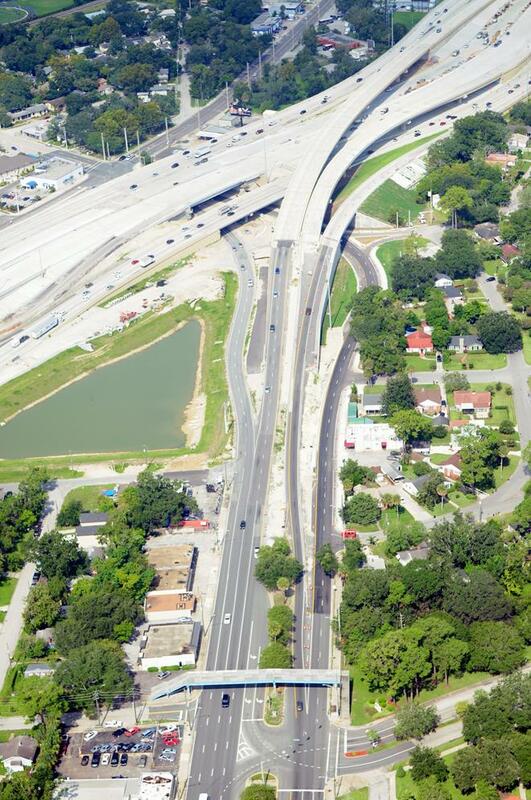 Nighttime lane closures at Owens Road Monday through Wednesday from 9 p.m. to 4:30 a.m. for routine overpass maintenance. 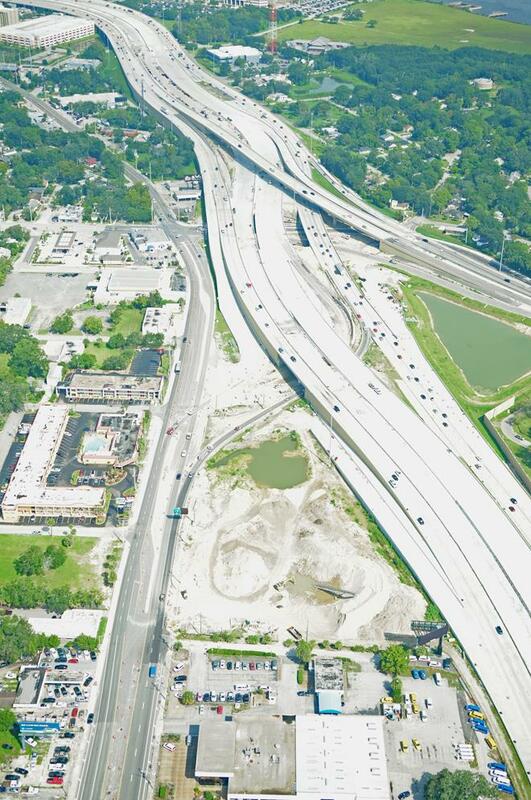 Nighttime southbound lane closure from Park Street to San Marco Boulevard Wednesday from 8 p.m. to 5:30 a.m. for overpass construction. Nighttime northbound off-ramp lane closure from Park Street to Stockton Street Wednesday from 8 p.m. to 5:30 a.m. for overpass construction. 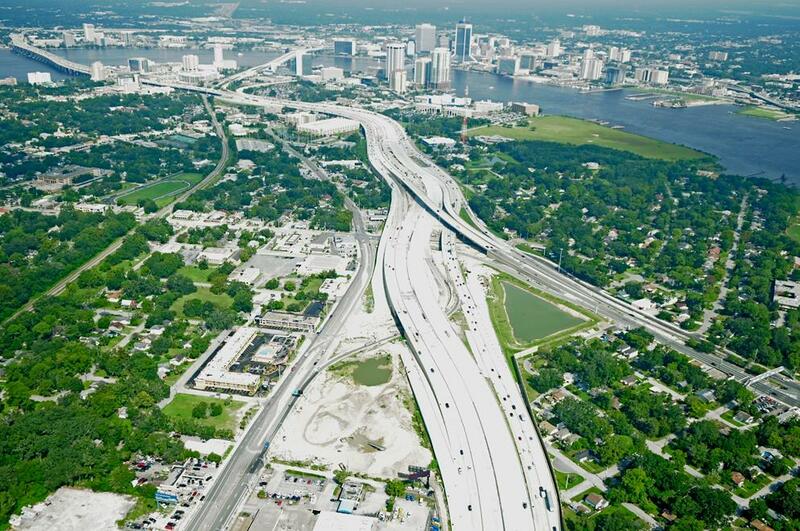 Nighttime lane closures at Atlantic Boulevard Sunday and Monday from 9 p.m. to 6 a.m. for utility work. Nighttime lane closures from Atlantic Boulevard to Prudential Drive weekdays from 7 p.m. to 6 a.m. to install roadway markings. 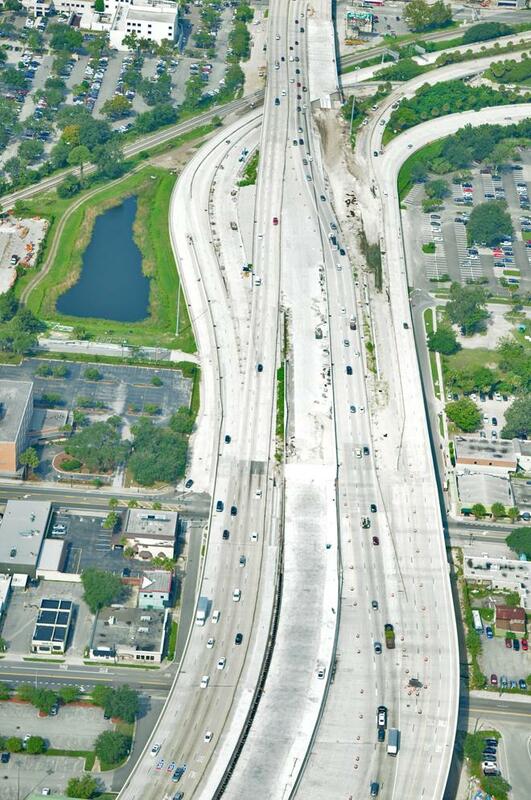 Nighttime southbound lane closures at I-95 Monday and Tuesday from 9 p.m. to 5 a.m. for roadside work. Nighttime lane closures at Racetrack Road through Tuesday, April 30 from 7 p.m. to 6 a.m. for turn lane construction.